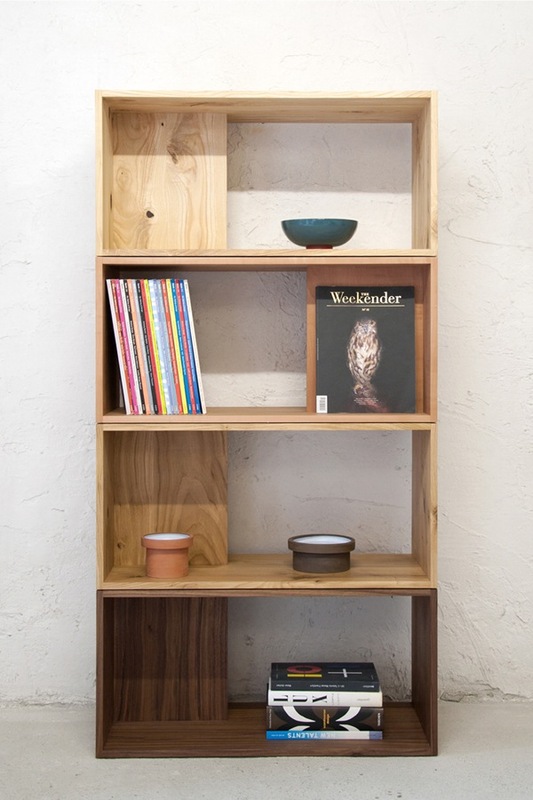 4+1 are shelf units with a useful +1 element. This wall makes a difference, as it combines many advantages: it guarantees stability. It serves as a bookend. 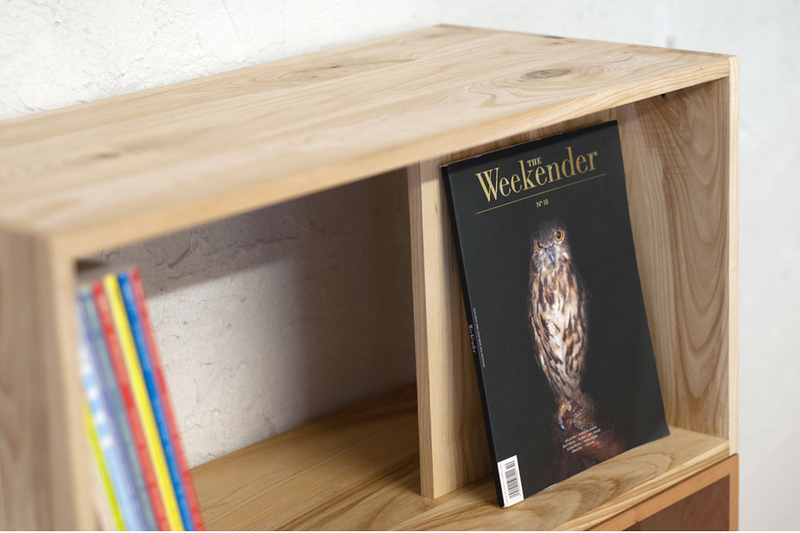 It can be a background for a special book or magazine to be displayed. Last but not least: it can be a hiding place for private objects. 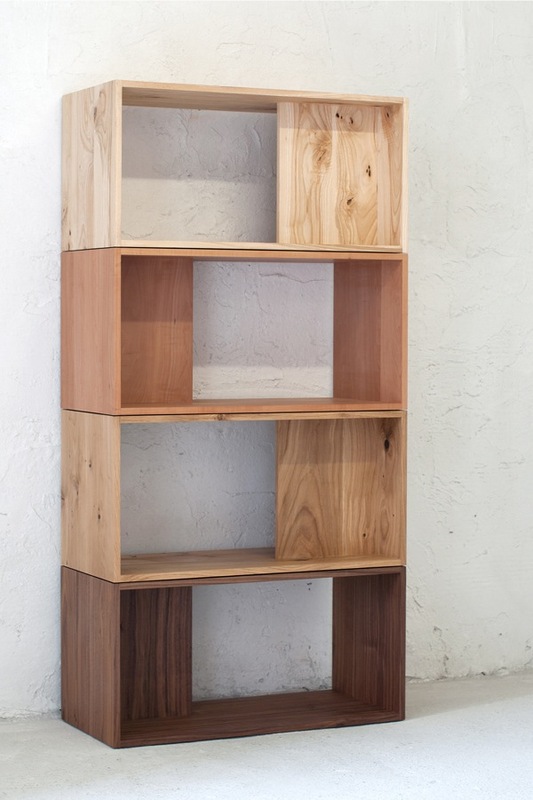 If several 4+1 Shelf Units are stacked on top of each other, they create an ensemble which celebrates the beauty of various types of wood. Besides the aesthetic aspect, the four different colors and textures also provide a visual structure to your library.